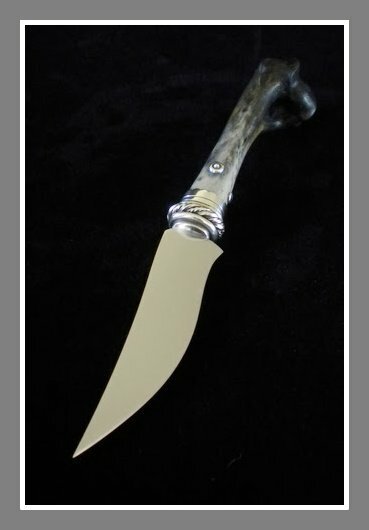 Today I ran across this knife by Tai Goo. The handle is apparently cougar femur. I'm intrigued. Does anyone know of a source of bone like this for grips? Digging the aesthetic. Would like to play with some recurve blades and this organic echo shape. Please tell me you're going to put an exotic femur on your AF 2016 blade. No bud . . .sorry. That's gonna be bronze and bog oak. Sorry. Thinking about a future project here. Not sure what your looking for Dave. I am going to give you links to several sites the leg bones of deer are commonly used but it is hard to find femuor bones of large nature, such as the one Tai used for that knife! The last one is here in Florida and has a real varied selection from small to large! I remember that knife and not sure where Tai got the bone from. Ask him he likes to talk about his knives! what about a black bear femur? I don't have one on hand but hope to this fall. Not sure what you are specifically looking for. be glad to give you one and use one.....Damn things are thick as fleas and eatin up the deer and elk !!! 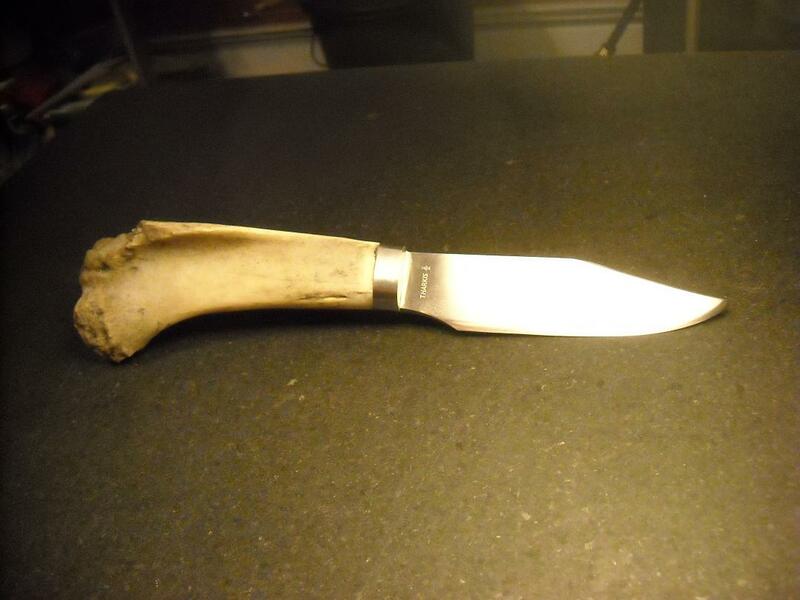 I've made knife handles from deer femurs and from a bear hipbone. Work decently well, but stinks like crazy when working =D The bear one was interesting because there's a ridge on the bone, the fellow I was making the knife for was left handed, and thus the handle was made retaining the ridge such that its' a comfortable grip in the left hand, and all but unusable in the right hand. Bad photo but it's one of the only ones I have of it from before I mailed it out. If you have a local game warden station, I'd ask there and many times you can get lots of bones for free from butcher shops that people take their deer and bear to for packaging. I haven't purchased from Hide & Fur but they have a pretty good reputation. I have purchased from Atlantic Coral (not bones, but other stuff) and been very pleased with the quality so far. You live in Alaska part time, don't you? There must be a few hunting organizations and taxidermists around you. Maybe you could try them and see what you can find. I'm pretty sure they can get you the good stuff. The taxidermy would be my first stop.